I will represent the state of Alabama in the Miss America competition, with the televised final night on September 14, 2014. I hope you will watch my video and vote for me. 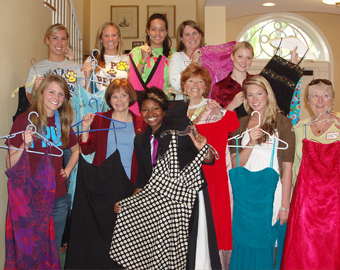 Just click Vote for Caitlin and help me carry the message of Caitlin’s Closet® all across America. On August 23, 2014 in Dothan, Alabama participants developed mobile apps in a competition to support Caitlin’s Closet® and its goals. 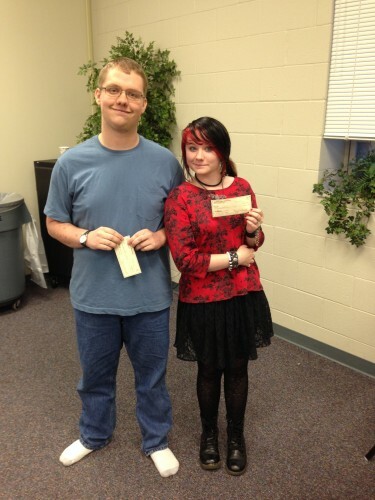 Miranda Sappington and Matthew Bangert are the winning team! The winning apps will put the ability to ask for clothes, donate clothes or enter The Empowerment Zone to Write Your Own Story in the palm of your hand. 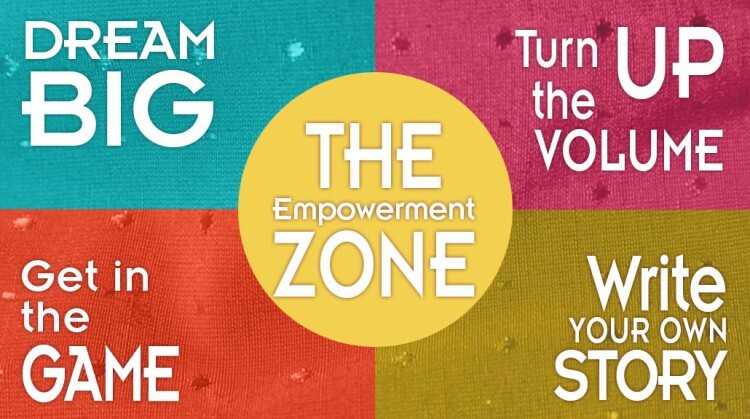 Enter the “Zone” to write your own story and begin the journey to be your best self while defining your possibilities. We have links for getting the help you need. Start here to begin your journey of self improvement. Vote now for Caitlin Brunell to be your next Miss America. watch Miss America on September 14, 2014 on ABC at 9PM EDT. Begin the journey to be your best self. 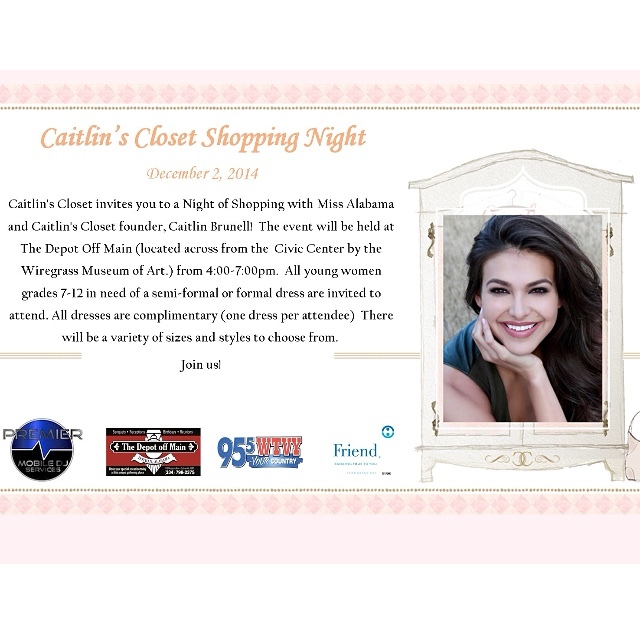 Caitlin’s Closet® and Dress for Success team up all September 2014. During April 2015, donate clothes all month. Donations will appear on your statement as Brunell Family Foundation. Caitlin's Closet® is a registered trademark of the Brunell Family Foundation. 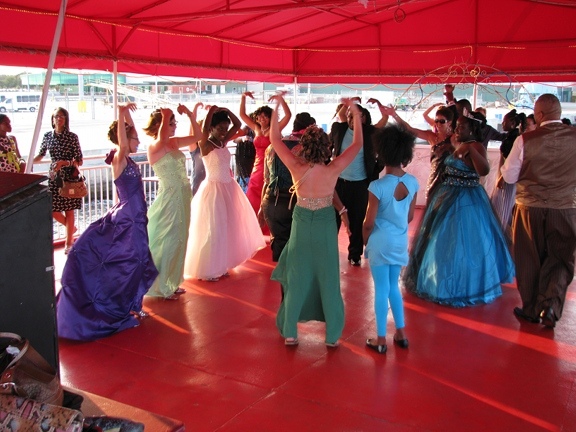 The Brunell Family Foundation is a 501(c)(3) organization.